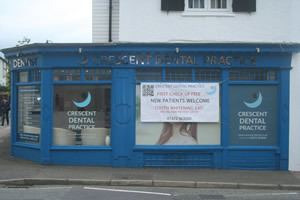 The Crescent Dental Practice was established in 1997. During planning and building, patient safety and comfort was paramount. 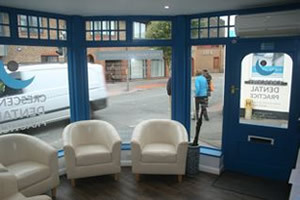 The ergonomics incorporated into the design means that the practice is light, open, comfortable, relaxing and safe. The whole practice is at ground floor level allowing easy access for all. Over the years there has been a substantial investment for the benefit of our patients. 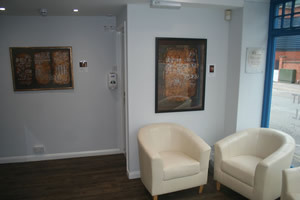 The practice boasts air conditioning, full computerisation, intra-oral camera and digital photography, digital x-rays, ZOOM! Power Whitening and many other state of the art items of health equipment. Our digital x-ray system significantly reduces the diagnostic dose level compared to the conventional x-ray film method. We have achieved the British Dental Association Good Practice Scheme Award for each consecutive year from 2011 to 2019, proving that we are one of the top dental practices in the UK. We take sterilisation and cross infection control extremely seriously, and follow strict B.D.A. protocols. All instruments are ultrasonically cleaned followed by steam autoclave sterilisation or are single use disposable. All root canal instruments are single use only. Patients are protected by single use gloves and other single use barrier methods. All our team are highly motivated and dedicated to providing the best for you. Please phone for the latest details and times. No stairs – this is particularly useful for some of our patients. Our computer records show that we do actually see people on time or with an average wait of only 3 minutes. This is particularly important for busy people who have other deadlines to meet. Who aim to help, inform and assist you. All the team is here to help you and answer questions. Sometimes you want to just phone up to clarify something you forgot to ask, we’ve always got the time for you and are happy to explain things. All GDC registered team members participate in Continuing Professional Development (CPD) attending regular professional meetings and lectures to keep abreast of the latest techniques treatments and philosophies. About your teeth and treatment proposals, showing you with the aid of photography, x-rays, models and examples so that you truly understand things. You will always be left to make your own decisions – we never use any pressure. If at least one parent is a regular attender. so you can make the right decision to achieve your chosen smile.